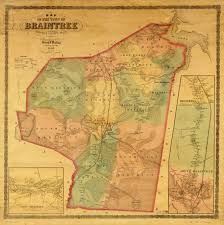 Dr. Gallivan was a prominent native of Braintree and his career was very well rounded. He was a WWI veteran; he served the staff of the South Shore Hospital in Weymouth as well as St. Elizabeth’s Hospital in Brighton. He also served as the Assistant Medical Examiner for Norfolk County. The French House would be purchased by Thayer Academy and subsequently given to the Braintree Historical Society. The second lot remained under the ownership of the French Family until 1972, when it was acquired by Mary Bean. Bean further divided this lot. One portion of the lot became the land that is the Gilbert Bean Barn Museum and the Mary Bean Cunningham Historic Resource Center. The other portion became the Park Lot, Mary Bean would go on to sell the Barn Museum and Resource Center to the Historical Society for $1 and would sell the park to the Town for $1. The park was laid out by the Town afterwards and for a time was was beautifully maintained by the Gardeners Guild of Braintree until recently. 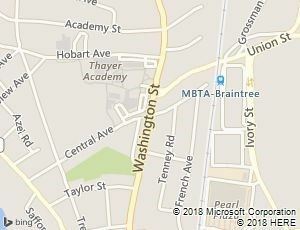 This area will be a priority going forward and we’d love hearing from members that might be inclined to promote and assist with this most worthy project.